Mansfield MP Sir Alan Meale has backed the police over an IPCC investigation into the force’s handling of the Amber Peat case. Mr Meale, who says he was regularly kept abreast of the police’s work after the 13-year-old was reported missing on 30th May. Her body was found in hedges off Westfield Lane, less than a mile from her Bosworth Street home. Mr Meale said: “As far as I’m concerned they have done everything right. “When there is a death, this is absolutely normal. “They are prepared to go the IPCC rather than do it themselves, it’s good practice of a very good chief constable to get someone from outside to investigate. An elderly resident, who lives on the same street as Amber's family also contacted Chad to defend the police. The woman, who did not want to be named, said: "I thought the police were courteous, thorough and exemplary. "I've been shocked by the bad press the police have had. "It's not been our experience on this street." Wild rumours about the police and the tragic death of Amber were being circulated on the internet after he disappearance. Since then, a 19-year-old London man has been questioned and bailed by police in regard to a malicious message left on Facebook. The force has not disclosed the wording of the Facebook post but it is believed to have included graphic details of a violent attack. Meanwhile, an inquest into her death has since been opened and adjourned. 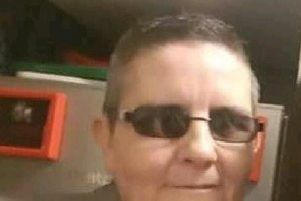 Although the cause of death has been confirmed as hanging, Nottinghamshire Coroner Mairin Casey said they are still waiting on toxicology and histology reports, which will be explored in full when the inquest resumes at a later date, which is still to be confirmed.